Debut winner Full Nelson will step up in class when he runs at the Sunshine Coast. Eagle Farm trainer Brian Smith has yet another reason to be a big fan of stallion Iffraaj as three-year-old Full Nelson prepares for a metropolitan Saturday debut at Caloundra. The gelding improved on a solid trial to win on debut at Doomben on August 16. Full Nelson steps up from 1100m to 1200m in the Saturday’s Beaches Holiday Apartment Cotton Tree 3YO Handicap. The gelding races for a syndicate headed by the Condon family who have had many good horses in Queensland. Among their best was the Smith-trained Hume who won the 2009 Tattersall’s Cup at Eagle Farm and was second to subsequent Melbourne Cup winner Shocking in the Lexus Stakes at Flemington. Smith has high hopes for Full Nelson as a stayer. “He is out of a Zabeel mare and he is bred to run 2400 metres,” Smith said. The trainer went to New Zealand looking for a horse for the Condons and couldn’t resist Full Nelson who is by the same sire as the Smith’-trained Order Again. 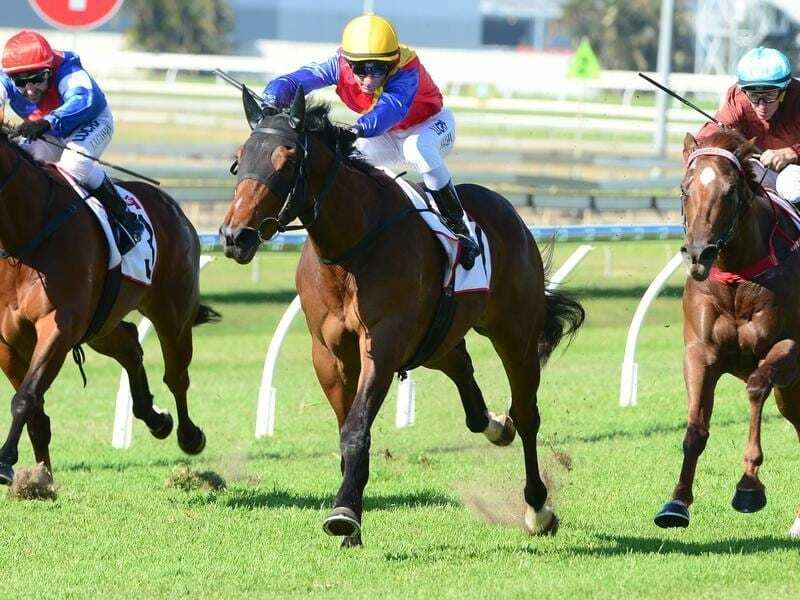 A brilliant first-up winner at Doomben, Order Again is expected to have his next start in a 1600m-race at Caloundra on Saturday week.